Leo M Bolick of Burlington, North Carolina has passed away..
Burlington, NC — Leo M Bolick, 88, passed away January 11, 2019, at Alamance Regional Medical Center. A native of Burlington, he is survived by his wife, Elizabeth Bowes Bolick, whom he married in 1952. He was son of the late Earl Leslie and Willie Motley Bolick. Leo M Bolick graduated from Broad Street High School in Burlington, earned his undergraduate degree from Elon College, majoring in Math, Physics and History and earned his master’s degree from Rollins College in Winter Park, Florida. He served in the U.S. Army during the Korean War and served one year in Berlin, Germany during the Cold War. Mr. Bolick retired from AT&T after 37 years of service, working in Burlington, Greensboro, Atlanta, Georgia and Orlando, Florida. While in Orlando, he was active in the Boy Scouts of America and coached Little League baseball. He continued working for AT&T, Lucent Technologies and General Dynamics as a contract employee for another ten years. 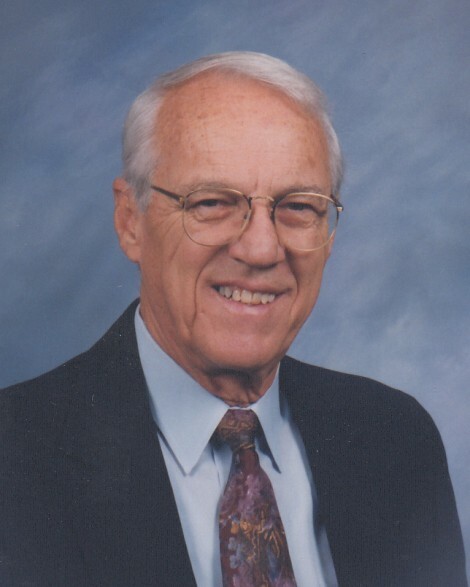 Mr. Bolick was a Life Member Pioneer and served as President and Vice President for 3 years. He was involved in the organization of The Victims Assistance Program started by the Burlington Police Department. He was a faithful and dedicated charter member of St. John’s UCC and served numerous terms on the church council and on various committees. He was President of the council when the current sanctuary was built and also when St. John’s and New Mission UCC merged as one church (St. John’s New Mission UCC). He was elected to the first council for another merger with Grace UCC which is now Life’s Journey UCC. Mr. Bolick enjoyed playing golf and spending time with his family and friends. He is also survived by his daughter, Susan Regan and her husband Ricky of Burlington, and son Gary Bolick of Hyco Lake. He was Papa to Kevin Regan and his wife Katie of Mankato, MN, as well as great grandsons, Leo, Logan and Levi Regan. Mr. Bolick was preceded in death by his brother Earl Bolick. A memorial service was held 2:00 PM, Sunday, January 20, at the Rich & Thompson Chapel in Burlington with Rev. Phil Hardy officiating. The family received friends following the service.